BAE Systems Australia has been awarded a four-year, $30 million contract, which will see the company deliver a major capability improvement to the Royal Australian Navy (RAN) with the upgrade of maritime satellite communications terminals. The upgrade of maritime satellite communications terminals (MASTIS – maritime element of the advanced SATCOM terrestrial infrastructure system) is set to provide a major enhancement to RAN operations and life at sea. The upgrade will be undertaken at BAE Systems facilities at Edinburgh Parks in South Australia and North Ryde in Sydney. BAE Systems said the project will result in the creation of up to 20 new jobs. 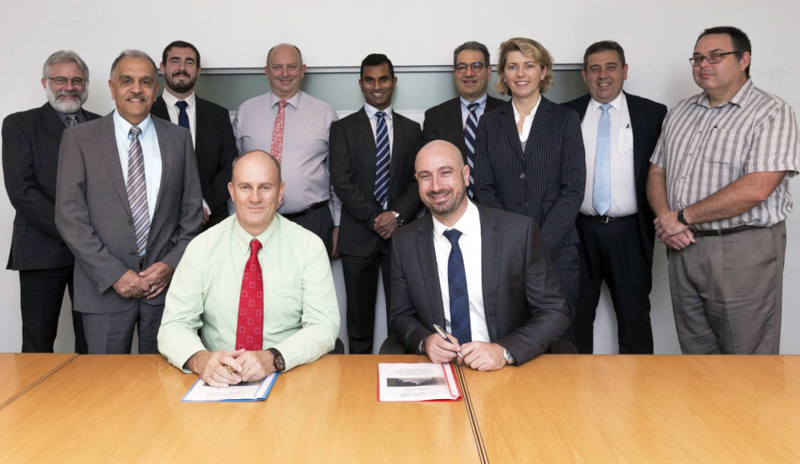 The upgrade is an extension to BAE Systems Australia’s existing MASTIS support contract. BAE Systems Australia chief executive Glynn Phillips said, "The upgrade will provide the RAN with a capability edge that will significantly improve its ability to keep our nation safe by providing the very latest in satellite communications interoperability." The company also said the project will see the delivery of vastly increased bandwidth, which will provide more efficient usage of defence satellite capacity and enhanced network interoperability between ships, aircraft and land-based platforms. The MASTIS terminals are equipped with two antennas, which are capable of transmitting and receiving in X and Ka-bands simultaneously and are also able to connect to two different satellites at the same time. This dual band, dual antenna approach will provide the RAN with advanced SATCOM availability and a substantial increase in the ship's data capabilities, even under heavy interference conditions. MASTIS terminals are fitted in three variants in the RAN fleet, including the dual antenna terminal variant fitted to Landing Helicopter Dock (LHD) ships and Air Warfare Destroyers (AWD). The upgrade addresses all of the Navy’s in-service MASTIS fleet of 17 ship-fitted systems and one training suite. MASTIS terminals were designed, developed and delivered by BAE Systems and entered service in 2005. The upgrade will also see BAE Systems work with Airbus Defence and Space, which supplied a significant portion of the original terminals including the three-axis stabilised antenna system.